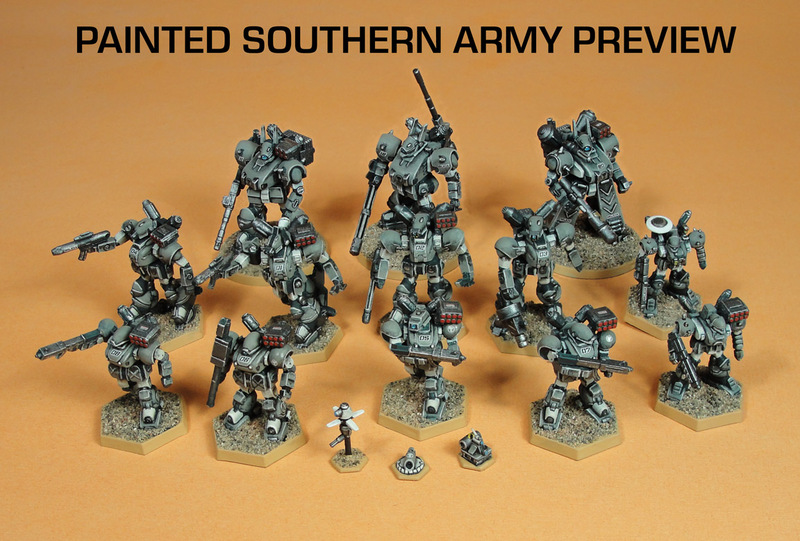 Dream Pod 9: Kickstarter Update: Painted Southern Army Preview! Phil did another excellent job painting up the Southern Army and adding logos and numbering decals. We took some photos of the new Southern plastic miniatures all painted up, check them out below. The preview of the second image turned our a bit blurred, click on it to open a larger clear version. 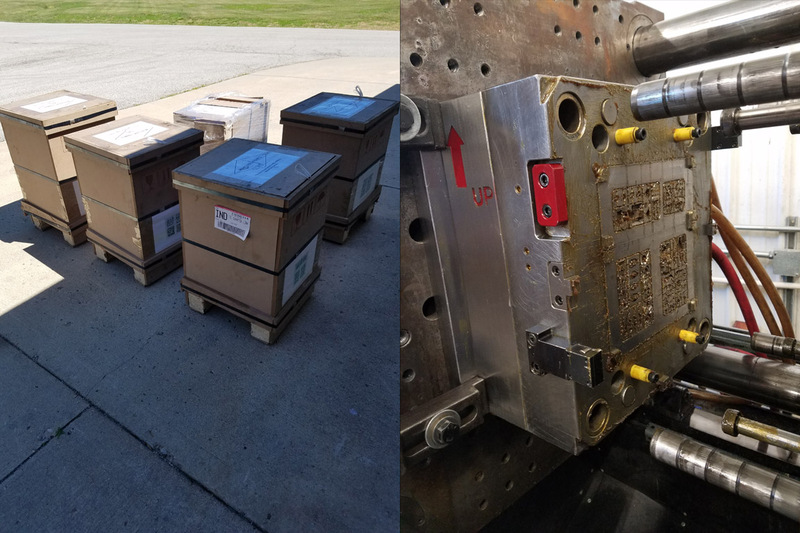 Plastic Injection Molds Update: The molds have finally arrived at our plastics manufacturer, Models LLC. in Lebanon, IN, USA just north of Indianapolis. They took a photo of the 5 crates and a photo of the mold cleaning process, where they remove all the grease that the molds were coated in to prevent damage during shipping. They will start popping the first plastics later this week and we should have photos for our first made in the USA plastics for next weeks update. 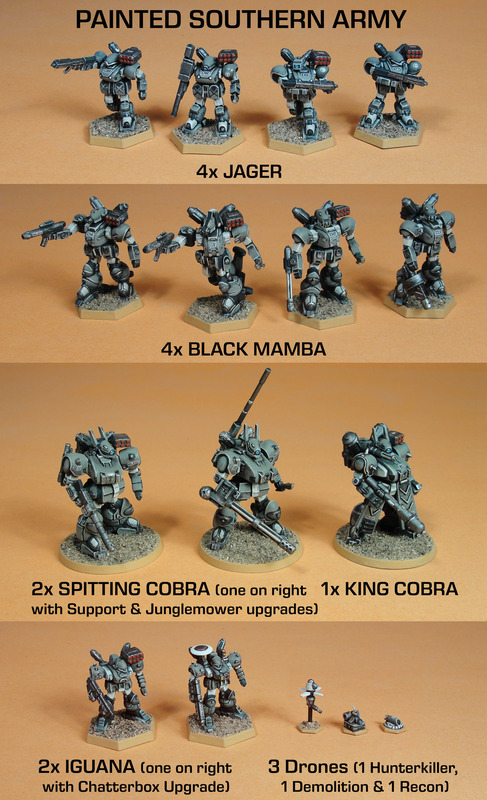 Home › Blogs › Robert Dubois's blog › Kickstarter Update: Painted Southern Army Preview!